André Schürrle was one of the key players in Germany’s convincing 4-1 victory over Azerbaijan on Sunday night. The Borussia Dortmund winger opened the scoring for die Mannschaft in the 19th minute, assisted on Thomas Müller’s 3-1 lead, and then added a second goal in the 81st minute to round up Germany’s 4-1 victory away in Baku—Mario Gomez (1-3) was the other scorer for Germany. Playing in a traditional 4-2-3-1 formation, Germany head coach, Joachim Löw, opted to start Schürrle on the left wing. Playing alongside Julian Draxler and Thomas Müller in the attacking midfield behind classical striker Mario Gomez, this formation seems to bring the best out of the BVB winger. The German magazine, kicker, later determined that Schürrle was the player of the game. For Schürrle, who only started because Mesut Özil was not fully match fit, this was his first appearance in the national team since the European Championship group stage match against Northern Ireland last summer, and his first goal since Germany’s 7-0 victory against Gibraltar on June 13, 2015. In the end, his selection was key for Germany’s success in Baku. Die Nationalmannschaft has now won five out of five World Cup qualification matches and has scored 20 goals whilst only conceding once. With five outstanding matches in Group C and a seven point gap to second placed Czech Republic, there is no doubt that Germany will qualify for Russia 2018. Schürrle, however, will have to work hard if he wants to manage his personal qualification for the tournament in Russia next year. The winger, who joined Borussia Dortmund last summer from VfL Wolfsburg for €30 million, has not had the best of seasons under Borussia head coach, Thomas Tuchel. In 15 Bundesliga games, André Schürrle has managed just two goals and four assists. The left-winger also appeared for just 744 minutes for Borussia Dortmund in the Bundesliga. Neither Schürrle nor Borussia Dortmund expected those kind of numbers when die Schwarzgelben negotiated Schürrle’s transfer with Wolfsburg last summer. Thomas Tuchel strongly advocated Schürrle’s transfer to his bosses at Borussia Dortmund, and the bench boss started the winger in Dortmund’s first two games of the season. Right away, Schürrle showed off his skills in Dortmund’s 2-1 victory over Mainz. He played the full 90 minutes and assisted on both of Pierre-Emerick Aubameyang’s goals. He then was also the strongest player in Dortmund’s 1-0 defeat to RB Leipzig on matchday two. What followed was a knee injury, which cost Schürrle six Bundesliga games. Perhaps it was the injury, but Schürrle’s numbers have been diminished since he came back in late October. Tuchel only used the winger sparingly between matchday nine and 12, kept Schürrle on the bench on matchday 13, cut him from the matchday squad on matchday 14, and then again kept him on the bench on matchday 14. On matchday 16 Schürrle was brought in late, and then on matchday 17 he was used for the full 90 minutes, not as a winger, however, but as a striker to replace Pierre-Emerick Aubameyang. 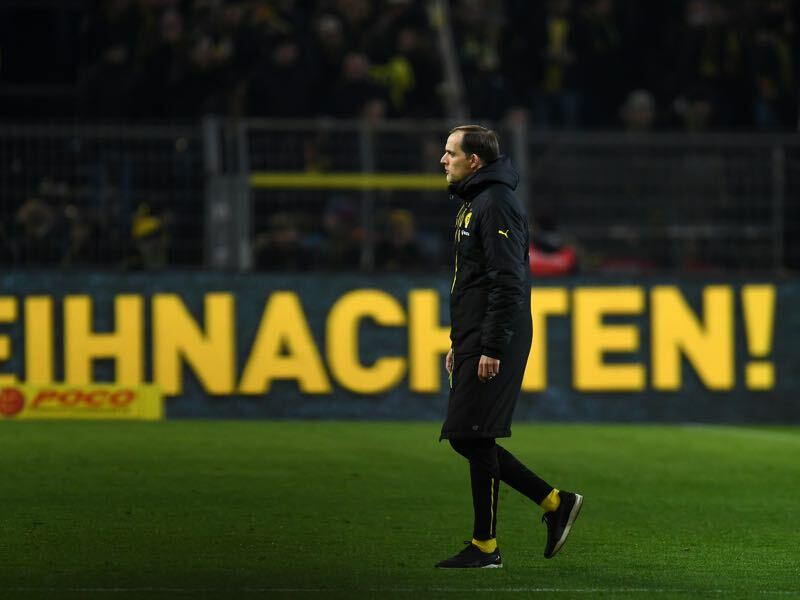 Perhaps it was this game, or perhaps Thomas Tuchel has had this idea for some time. The fact is that Dortmund’s coach has entertained the idea that Schürrle could play as a forward rather than a winger—either on his own in a 4-1-4-1 formation or next to Aubameyang in a 3-5-2 formation. The problem, however, is that Schürrle is not an all-out attacker. Following Dortmund’s defeat to Hertha Berlin, which was one of Schürrle’s rare starts after the winter break, Schürrle struggled to explain his role to the press by stating that he was sort of a replacement striker for when Aubameyang drifts out wide. What is André Schürrle’s best position? Schürrle, however, is a natural winger whose most dangerous weapon is his speed when he cuts in from the left side to either finish with his right foot, or to feed the ball to the natural striker up front. One such example is the famous World Cup winning goal that was scored by his Borussia Dortmund teammate Mario Götze. Thomas Tuchel has played a major role in developing André Schürrle at Mainz. There, the winger made his breakthrough before moving on to Bayer Leverkusen, Chelsea, and Wolfsburg. Tuchel was then adamant that Schürrle could replace the likes of Henrikh Mkhitaryan on the wing. The problem, however, is that Tuchel’s tactics seemed to have evolved away from a 4-2-3-1 towards a 3-4-3, where Schürrle could play on the wing just behind Aubameyang, or 3-5-2, a system that does not seem to fit Schürrle at all. The national team game on Sunday highlighted Schürrle’s importance when in form. But, with Tuchel tinkering with his formations trying to find a place for what has been identified as his wish signing of the summer, Schürrle will have to either adapt, or show his Dortmund coach that he is better suited to play in a 3-4-3 formation. Only the sort of performance he displayed on Sunday will guarantee André Schürrle a position in the 23-man Germany squad that will travel to Russia to defend their World Cup crown next summer. Serge Gnabry – What is Next for the Werder Star?